Research shows that prolonged sitting is detrimental for your body. If you want to live longer, sit less and move more. Among the risk that your body incurs if you sit too much are diabetes, obesity, heart disease, cancer, and premature death. Sitting longer each day over a period of time accelerates aging. The study that included almost 1,500 older women found that those who sat the longest were, on average, biologically eight years older than women who moved around more often. The aging of our cells varies, meaning they depend more on each one’s lifestyle. The factors that contribute to how our cells age include our eating habits, sleep cycle, whether or not we smoke, and the length of time we sit. 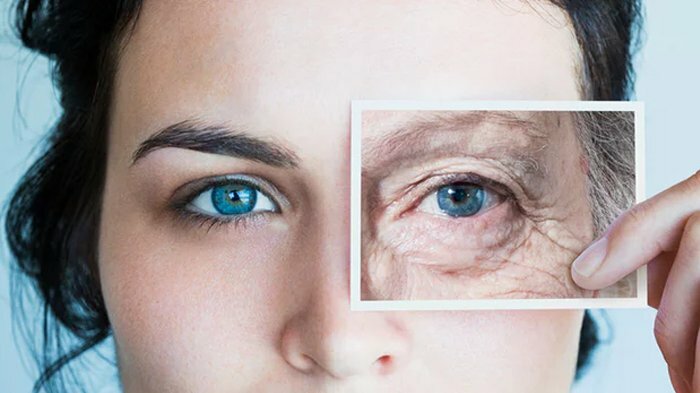 Researchers from the University of California, San Diego (UCSD) School of Medicine tracked the activities of a group of women aging 64-95 years old. Those women sitting more than 10 hours a day and didn’t perform moderate-to-vigorous physical activity had shorter telomeres. Telomeres are caps on the end of DNA strands that are sometimes compared to the plastic caps on the end of shoelaces; they help protect our chromosomes from fraying or sticking together, which would damage their genetic information. Telomeres are used to measure biological aging because they get shorter every time a cell divides until such time that the telomeres get too short. Cells die the moment they’re unable to divide. At times, telomeres are also compared to a lit bomb fuse. In the women who sat for more than 10 hours a day, the telomere shortening equaled to about eight years of aging. Thus, sitting accelerated the aging process by about 8 years. In a press release, Aladdin Shadyab, a Ph.D. at the UCSD School of Medicine and the research lead study author states that: “Our study found cells age faster with a sedentary lifestyle. Chronological age does not always match biological age”. The women who exercised for at least 30 minutes a day did not have shorter telomere length despite sitting for long periods. This means exercise counteracts the detrimental effects of prolonged sitting and provides anti-aging effects. Kelly Starrett, a Ph.D. in physical therapy and author of Deskbound: Standing Up to a Sitting World, quoted the research of Dr. James Levine showing that for every hour you sit down, your life expectancy decreases by two hours. Sitting longer is far worse than smoking cigarette because one cigarette smoked reduces life expectancy by only 11 minutes. This is the reason why sitting is now called the new smoking. Separate research, published in the American Journal of Preventive Medicine, further found that sitting for more than three hours a day causes 3.8 percent of all-cause deaths in the 54 countries surveyed. Cutting your sitting time to less than three hours a day could increase your life expectancy by 0.2 years, the researchers concluded. More than 60 percent of people globally spend more than three hours a day sitting. Regular movement is linked to longevity. The more you move, the more your body stays flexible, the more you become strong and are able to carry out your daily functions. On the other hand, a sedentary lifestyle causes your muscles to atrophy. Functional movements, such as rising from a seated position, would then become a challenge when the time comes. To increase the chances of living longer, you need to move your body a lot. Even if you’re working in an office, you still can move your body by getting up from your chair every 20 minutes and taking a two-minute walk. Trade sitting for active movement. If you can do your work while standing for awhile, try to do it. While standing you can stretch, lean, bend, or pace. You can also work in short exercise sessions, like walking from time to time, pacing while talking on the phone, or do squats when reading your emails. If, while working, you’ve been sitting for 8 to 10 hours a day, take the shift from sitting to moving your body gradually. Try to be gentle with yourself. You can increase the amount of time you move once you’ve conditioned yourself into moving. There are already a lot of office exercises that are uploaded in Youtube. Find the ones that suit you and your working environment. Never ignore these studies nor put off doing the exercises. Remember, every second of every day counts.